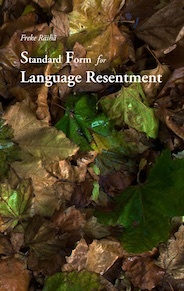 Standard Form for Langage Resentment, Corrupt Press, 2012. Buy the book from Lulu. Read BLANKED BLANKED by Anna Nyman at the publishers site.